Gifts from the Pirates: "I find your lack of Christmas cheer disturbing"
It's that magical time of year again, everyone is prepping for the big day and the streets and shopping centres are bringing out the baubles and glitter. As exciting as this time of year is there is also another huge event celebrating its enormous build up. Star Wars the force awakens is soon to hit the cinemas and even though I saw the excitement and crowds building up when the last 3 movies were released I'm still surprised at just how huge Star Wars is. With the two countdowns looming over us like a fully equipped Deathstar it seemed only right for someone to somehow combine the two. 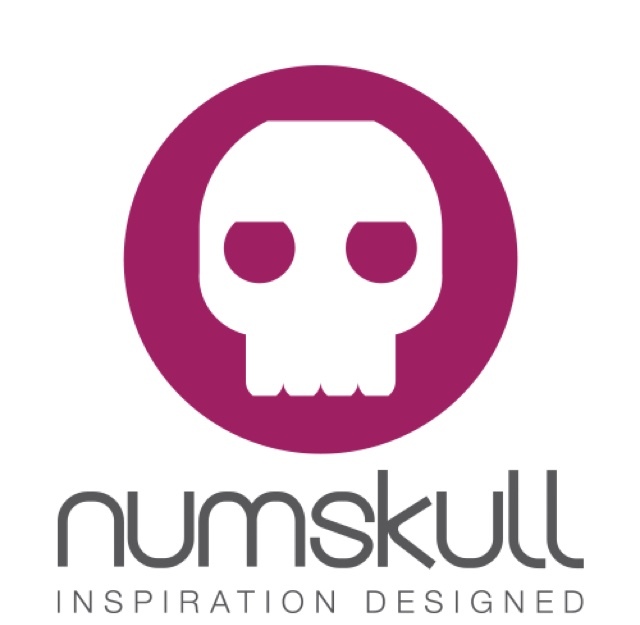 There's that old joke every year about people being bought gordy Christmas jumpers that are begrudgingly worn to make a family member happy, thanks to Numskull though you can wear your Christmas jumper with style (you just need to sway that Nan or distant Aunt in the right direction), With the release of the official Star Wars Christmas jumper range. 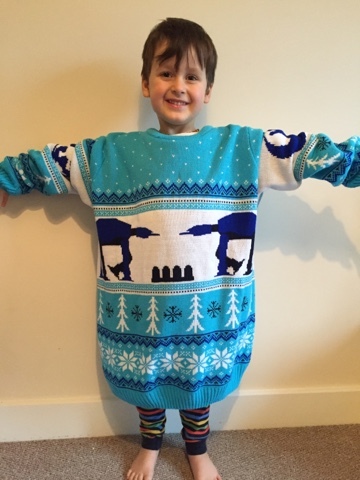 I thought I would finally get to model something for a review for once but Opeie his eyes on it as soon as it was out of the package and informed me that he would be modeling this Christmas AT-AT jumper because its apparently a perfect fit. Star Wars not your thing? 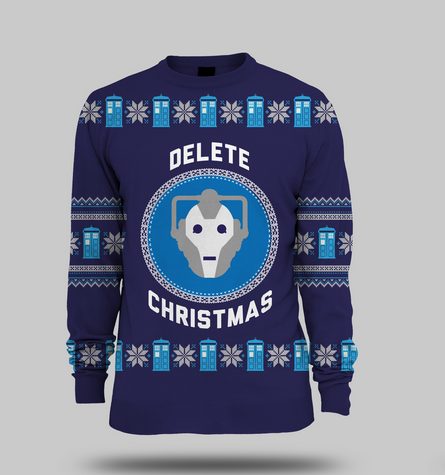 there is an awesome Dr Who Cyberman Christmas jumper too (and its on sale). For more fun Christmas jumpers check out Yellow Bulldog.